Buri Buri PTA - Better Together! : How can I help out? 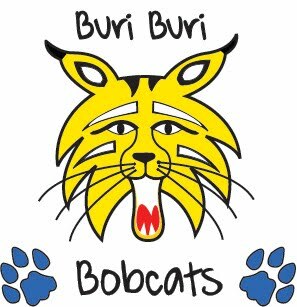 Buri Buri would not be the amazing community it is without the help and support of our parent volunteers. We appreciate all of the time and effort you put into making our school great! Be supportive of your child's school experience. Get to school on time and prepared, help with homework, be supportive of class projects, field trips and events. Get fingerprinted so you will be able to volunteer for field trips and in class. Join the PTA! Attend meetings if possible and share your ideas with the board. Anyone can be a member of the PTA including teachers, grandparents, older siblings, aunts and uncles, and family friends. Come to school events like the carnival, talent show, field trips, class presentations, etc. Volunteer to be a Room Rep. Room Reps work with the teacher to share information about specific class events and needs with parents. Volunteer at a PTA event: we always need help with our events. You can sell food at a movie night or run a carnival booth. Hand out programs at the talent show or design handouts for events. We never turn down a volunteer offer so if you have time, we have a job! Volunteer for a position on the PTA Board. There are lots of jobs that take a little time or a lot of time. All are welcome to be part of the board. Check here for job descriptions.